Adobe has released version 9 of its top-selling consumer applications, Premiere Elements for video editing and Photoshop Elements for photo editing. The big news for Elements 9 is the full availability of both products on the Macintosh platform, in addition to Windows, including the integrated Elements Organizer. These are not entry-level consumer applications -- Adobe has designed the Elements tools for motivated enthusiasts who want to do more than a quick occasional edit -- people who are motivated and organized about shooting and managing their footage, and willing to put in the effort to tag and analyze it. The Elements applications do feature an accessible interface for enthusiast consumers, with extensive tips and tutorials, and simplified editing modes like the video storyboard and one-click photo quick fixes. But underneath they provide access to significant chunks of the underlying power and flexibility of Adobe's professional Premiere Pro CS5 and Photoshop CS5 applications, including video tracks with keyframed effects, and images with layers and effects. The idea is to provide a growth path as you get more experienced -- so you can start simply, but then not hit a dead end in the application as your editing gets more sophisticated. 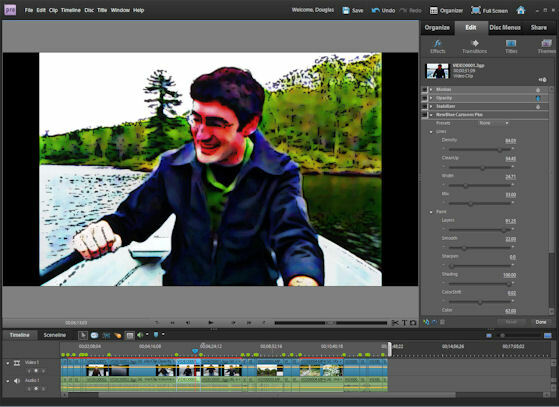 For example, new features in Premiere Elements 9 include Import from compact HD camcorders, including Flip camcorders and DSLR still cameras, optimized SD and HD editing including AVCHD, new effects for cartoon animation and audio cleaning, and export online to Facebook, to Online Albums, and as Web DVD. And Premiere Elements is about more than accessible editing -- It's built around three major themes: organization of all your media in the included Elements Organizer tool, background automated analysis of your videos and photos to help drive smart editing assists, and online sharing, backup, and even syncing between multiple computers. The application pricing is unchanged: Premiere Elements 9 and Photoshop Elements 9 are each $99 list ($79 with rebate) individually, or bundled together for $149 ($119 with rebate). Adobe also offers the Plus upgrade bundle with more online storage and access, including ongoing delivery of new tutorials, themes and artwork. The basic applications include 2 GB of online storage for backup, sharing, syncing, and the Plus upgrade increases to 20 GB online storage (for up to 15,000 photos or 4 hours of DVD-quality video). The individual applications with Plus are $139 ($119 with rebate), or bundled for $179 ($149). The classics never go out of style, so Native Union has introduced the Moshi Moshi Retro Mobile Phone Handset -- the 50's telephone style lovingly brought back as a handset for mobile phones. If you tend to chat on your phone at your desk, but don't want a Bluetooth headset stuck in your ear, then you can have the classic feel of a handset and still be able to check your phone as you talk. 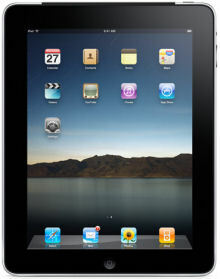 The handset is full size, so fits comfortably in your hand, and is finished with a comfortable soft-touch texture. The handset includes noise reduction technology, and has an answer / hang up button in the middle. The curled cord ends in a 3.5 mm jack, which you can plug in to the iPhone and Blackberry, or you can use adapters to plug in to other phones (different sets of Adaptor Kits are $15). 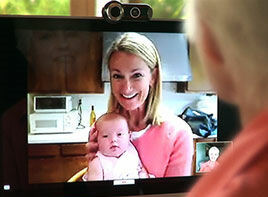 Or use the USB Adapter ($20) to connect to your computer to make Skype calls -- you'll look great on video calls. 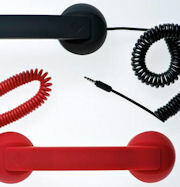 The Native Union Moshi Moshi Retro Handset is available in black or red for $29, or $59 with a weighted base. A new line of Pop Phones is also being introduced in pink, yellow, dark purple, dark blue, and green. Native Union also offers a contemporary Curve Handset in wired and wireless Bluetooth models. There's a huge range of choices in USB flash drives, from tiny to big, playful to rugged. It all depends on what you're doing with them, like swapping files with friends, or saving photos while on a trip. But if you're using your USB drive to backup and archive important personal files, much less business files, then your priorities change -- you want a drive both to be physically rugged and to secure your data from anyone who might get their hands on it. The Imation Defender storage line of flash drives, hard drives, and optical media are designed for security, with FIPS 140-2 validation -- The Federal Information Processing Standardization (FIPS) is a U.S. government computer security standard used to accredit cryptographic components. The Imation Defender F200 Biometric Flash Drive then features strong physical security plus data protection through AES 256-bit encryption, password authentication, and fingerprint biometrics. The physical design is built around a metal enclosure with an enclosing cap with rubber sealing ring, so the result is tamper-evident, tamper-resistant, waterproof, and dustproof. The data security is provided through AES 256-bit encryption implemented in hardware, activated when the drive is in use. The Defender F200 then includes two forms of access control, with password authentication plus fingerprint authentication using a built-in biometric swipe sensor with hardware-based matching. Especially for business use, you can manage and share the drive through administrative software, including setting up ten users and ten fingerprints, and customizing password policies. There's also enterprise software for centralized management of Defender drives. The Imation Defender F200 Biometric Flash Drive is available with capacities from 1 to 32 GB, at prices ranging from around $99 to $349. 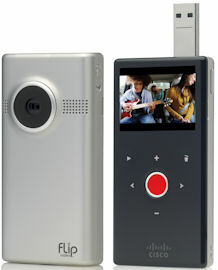 The Flip Video camcorders (now part of Cisco) have been relentless in their focus on simplicity. Pull it out of your pocket, turn it on, and in under 4 seconds its ready to shoot -- just press the big red button in the middle of the back (see earlier post). Other competing products have lots of useful additional features and options -- photo mode, macro close-up, multiple resolutions, removable storage. But with the Flips there's no extra controls that you can set up wrong, no menu options you can mess up. So just start shooting, with no hassles and no worries. 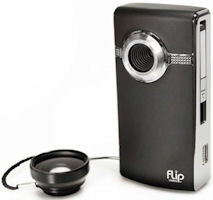 The new Flip Video line continues the emphasis on ease of use. They've stepped up the frame rate from 30 to 60 fps for fast motion, and added image stabilization, which is helpful with small hand-held devices. And keeping with the Flip philosophy, these are not options, they're just built in. The Flip line has two basic models, in addition to the SlideHD with slide-out widescreen display (see earlier post). The line is fully HD (1280 x 720) -- The MinoHD models are particularly compact (6/10 inch thin, 4 ounces), and the slightly larger UltraHD models (4 1/2 ounces) offer removable batteries. The MinoHD models add the 60 fps and stabilization, and are priced at $179 for 1 hour of recording and $229 for two hours. The UltraHD 1 hour is now only $149, and the 2 hour model is $199, with 60 fps and stabilization. In lieu of cramming in features to a small device, Flip is expanding the possibilities of third-party accessories with a new Designed for Flip program, and a new FlipPort accessory interface available on the new Ultra 2 hour (as an expansion of the HDMI port). These start with the Bower Wide Angle Lens and Ikelite Underwater Housing, both for all Flip models. 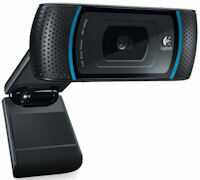 New FlipPort compatible products coming soon include the Blue Microphones Mikey for Flip external mic, a Scosche wireless microphone, iGo Overtime Battery extender and Charge Anywhere power adapter, and a Seagate storage solution. Flip also has extended its Design Your Own program, so you can customize your Flip for free when ordering from the Flip Video website. You can choose from the artwork in the Design Gallery, use the Pattern Generator for your own creation, or upload your own image. The first goodie in the new Designed for Flip accessory program (see previous post) is the Bower Wide Angle Magnetic Lens. This expands the field of view of your Flip by .45X, from wide-angle HD to a panoramic view of the scene. It's a "magnetic" lens because that's how it attaches. The product includes a few magnetic mounting rings -- Peel the back off to attach one around the Flip lens. You then can attach the lens with its magnetic base on the ring, and have it hold quite securely. There's also a leash with rubber ring you can use to tether the lens, and a soft carrying pouch. The lens itself is around 3/4 inch deep (about as thick as the body of the UltraHD 2 hour model). It's priced at $49, or around $39 street. USB has had a great run, living up to its promise as the plug-and-play Universal Serial Bus. But now we demand ever higher data rates, to meet the demands of devices including high-speed data storage, higher-resolution digital cameras, and high-definition video camcorders. So welcome the new USB 3.0 specification, branded as "SuperSpeed USB," which offers another 10X performance boost from 480 Mbps for USB 2.0 up to 5 Gbps. The magic with USB 3.0 comes from adding five new wires to the connector, for faster transfer, more efficient communications, and higher power (but also more efficient). Plus, the USB 3.0 redesign permits longer cable lengths, from a typical 2 meters for current USB 2.0 to 3 meters or more with proper shielding. For a peek at the promise of USB 3.0, I was able to try out the LaCie Rugged USB 3.0 portable hard drive. This is available with a 500 GB disk spinning at 7200 rpm for $135, and delivers up to 110 Mbps -- already some three times faster in practice than USB 2.0 even in this first generation. The drive has a new SuperSpeed USB Micro-B connector, and comes with a cable to plug in to a standard USB connector, so it's compatible with USB 2.0 systems. You can upgrade your existing systems to SuperSpeed with a PCI Card adapter, such as the LaCie USB 3.0 ExpressCard/34 which adds two SuperSpeed USB ports for $60. In my testing, even simple file copies in Windows Explorer were around two to three times faster than connecting via the built-in USB 2.0 ports on the same laptop -- for example copying 13 GB in 3 minutes compared to 10, or an effective rate around 60 Mbps. That's getting interesting! 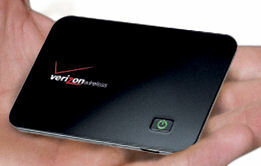 I'll be speaking tomorrow, Wed., Oct. 20, to the Princeton Regional Chamber of Commerce on Wireless Gadgets and Trends 2010: What’s Hot Right Now for Business. The talk is 7:30 – 9:15 a.m. at Thomas Edison State College, in conjunction with Trenton Small Business Week. It's the era of the smartphone, not just for always-connected communications and data, but also full-fledged apps. Come explore the new opportunities of this new kind of device that combines the power and display of a portable computer, broadband data access to the almost-infinite resources of the Web, and location-awareness for here and now services. Entries posted to Manifest Tech Blog in October 2010, listed from oldest to newest.